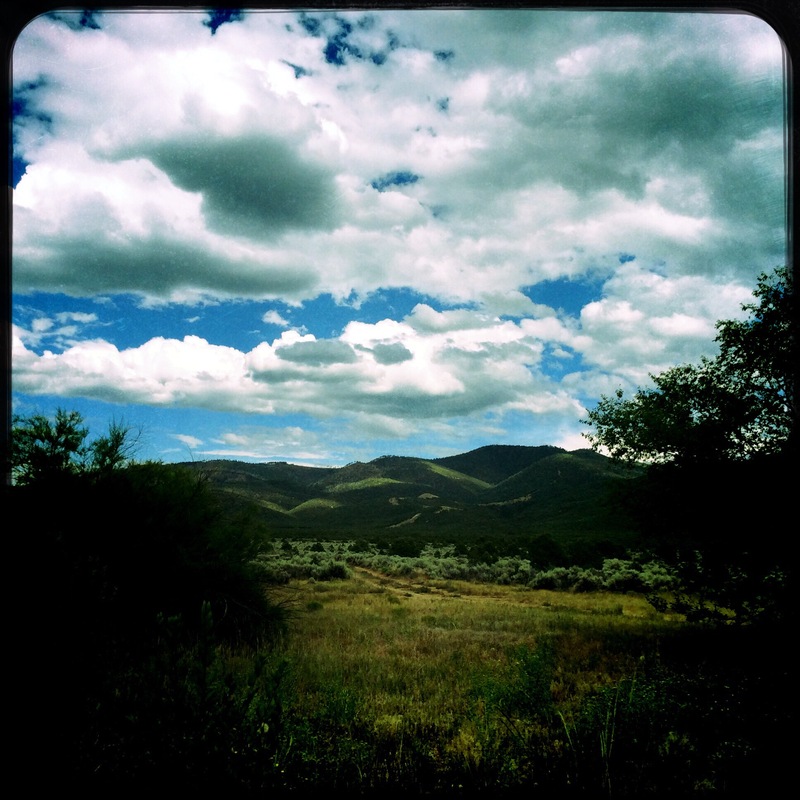 Today I’m remembering my retreat in Taos, New Mexico that ended a couple of weeks ago. 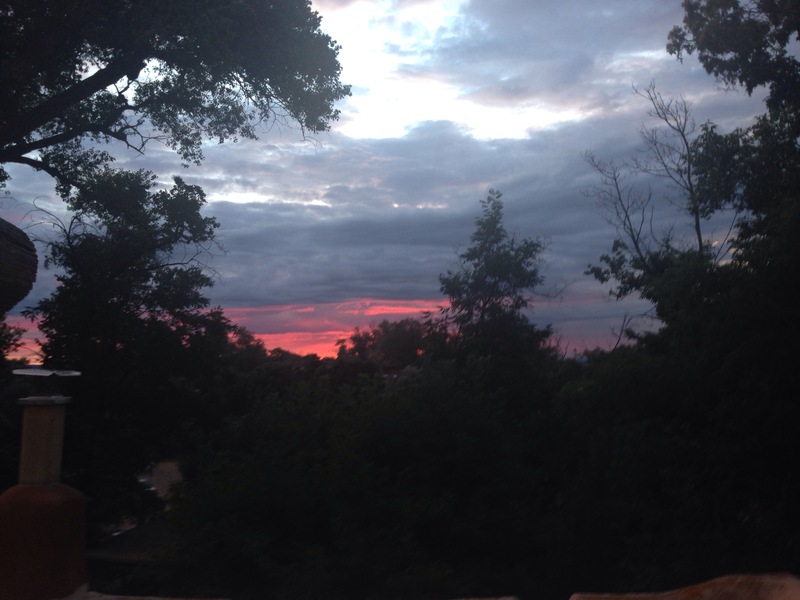 For the second time I went to a retreat with Jen Louden and 24 other women. For several years I read about this annual event and thought about going, but it always seemed too much. I think in part, because I only knew Jen from her online presence, it was hard to imagine the spirit and power that this event involves. I couldn’t give myself permission to spend the time and the money to be there. There was always something else to do or pay for. Last year was my first time, and this year I understand it even better. While this is billed as a writing retreat, it is actually a writing and spirit summer camp for grownup women. Jen creates a ‘container of safety’ that enables and encourages us to listen to ourselves, to give ourselves what we need and helps us find ways of taking it with us when we go. For me, now, this is such sacred time. 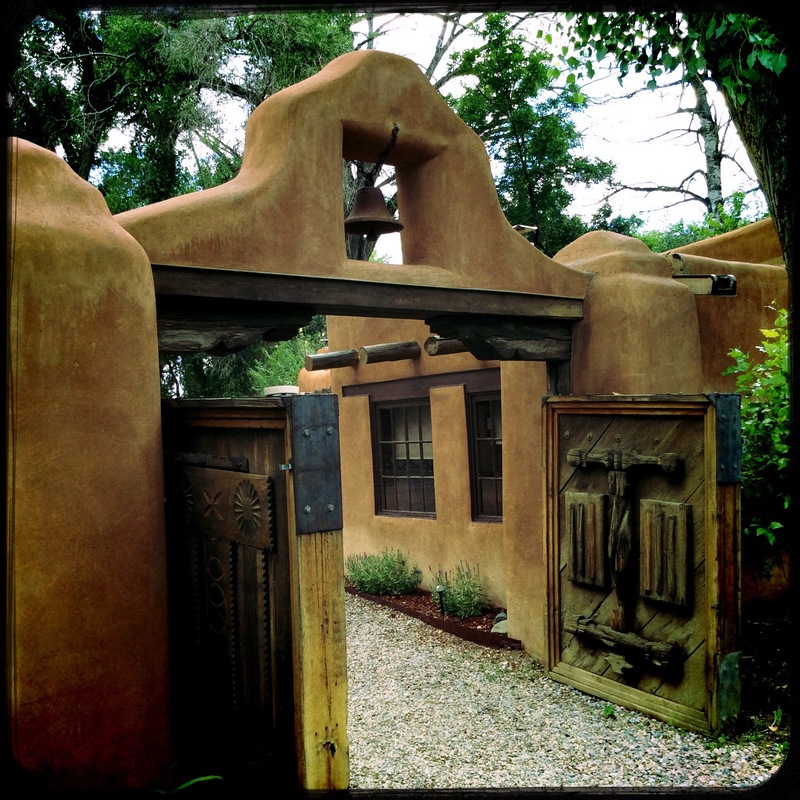 Taos is a place of great beauty and great spiritual power. The air is a little thinner than I, a flatlander, am used to, so I move a little more deliberately, a little more carefully. Sometimes I have to stop and breathe. My asthmatic lungs demand it from time to time, so I listen and I sit down and breathe, slowly and fully. We stay in a historic facility where people like D.H.Lawrence wrote. 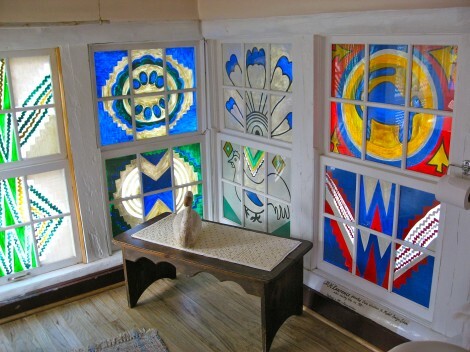 He also painted the bathroom windows because he was embarrassed by their uncurtained openness. The buildings are old and simple, and you can’t help but tap into the energy of all those others who have come before us. In the early mornings I dance. We all do. We gather in the meeting room and dance to the day’s loud and booming playlist, for about 45 minutes. Today’s playlist included MaMuse’s “Hallelujah,” and it took me home. Jen encourages us to pay attention to “what wants to be danced today.” When I know the music it becomes my way of singing into the day, which is so uplifting and soul settling. It’s a lovely way of paying attention to my own needs, and setting my intentions for the day. The path to my place. Sometimes we spend the morning hours in silence, just writing or honoring whatever else our hearts desire for a few hours. It might be writing, meditation, doing art or napping. But we do it alone, in silence. After lunch, we might attend a class about voice or our inner critic or writing memoir. Craft classes. They are optional but always worthwhile. Then yoga if we so desire, and dinner. The chefs are attuned to those with special needs and I was able to eat gluten and dairy free at nearly every meal. The days are packed with possibilities, and we are always, always encouraged to listen to what we truly want and then decide what to participate in. 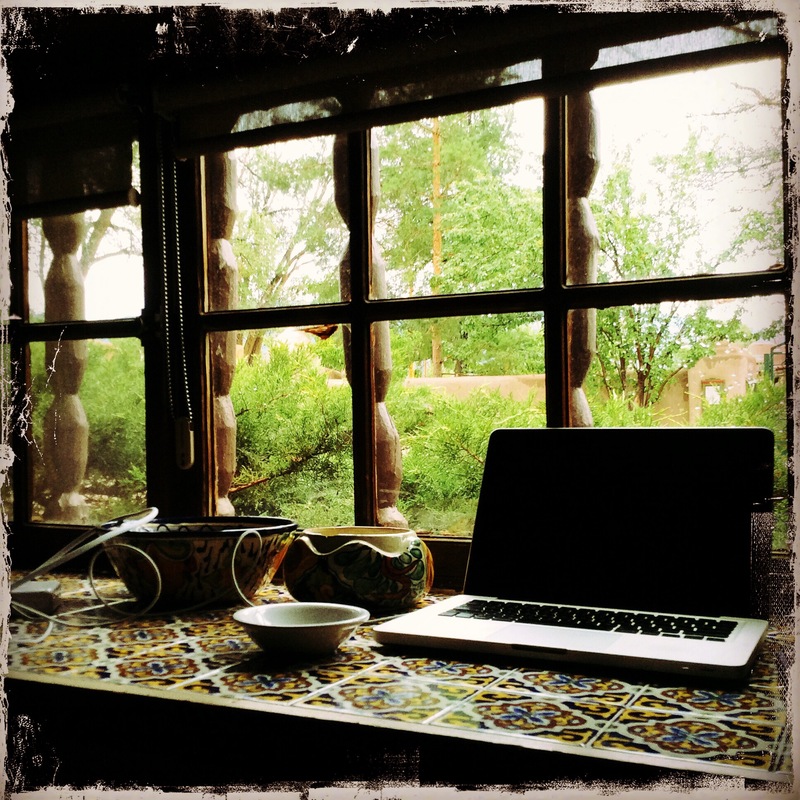 My writing spot, looking out at Taos Mountain. After two complete sessions I realize that, yes, this is a writing retreat, and we do a great deal of writing in a week’s time. But it is also a time of connection. With ourselves and with others. This is a time of listening to what my heart desires and giving permission to honor it. A time of renewal and restarting my life, and I can’t imagine not being there. The friendships that I have forged at this retreat are deep and spiritual, and we are able to say so much without saying much of anything at all. Our laughter is real and deep and the honesty and acceptance are so rich. 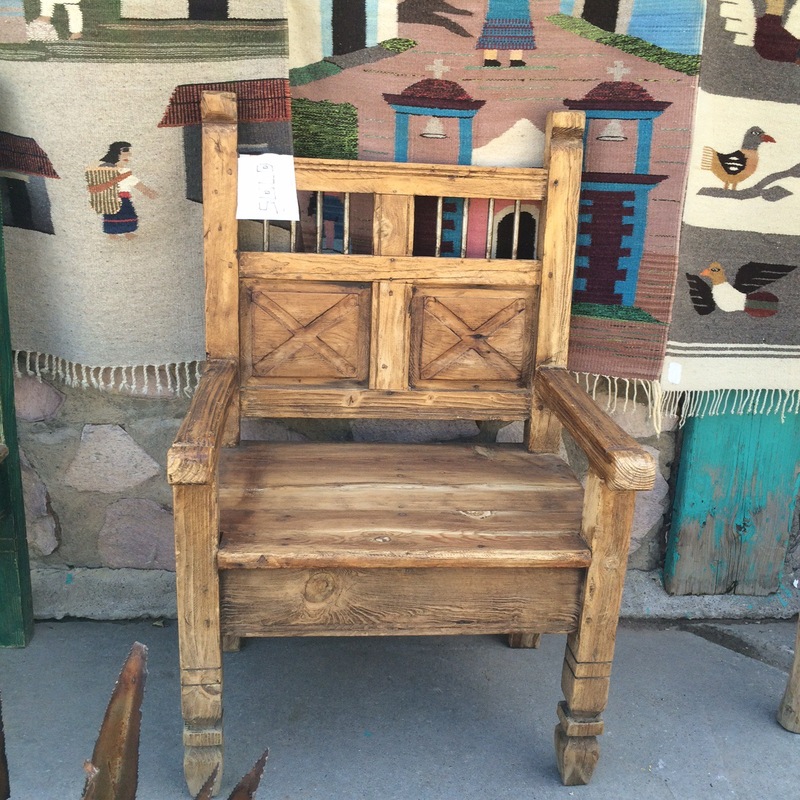 Ever since last year, when I sat outside and meditated in a rustic wooden chair, I have wanted such a chair for my home. On the next to the last day there, I found it and that night I figured out how to fit it into the back of my car for the long drive back to California. As I told the group, I would fit the chair first and everything else around it. If I had to leave my suitcase there, so be it. The chair represents so much to me that is solid and grounded. I look forward to sitting in it in my garden, and breathing in the smells of the cedars and all the plants that surround my yard. And yes, I know it is just a thing and I could do the same without it. I get that. But it’s delicious, all the same. My meditation chair, that fit perfetly in the back of the Prius. I have made a list for myself of how I will incorporate a sense of meditation and ritual into my daily routine, in a way that I can actually do. I understand that it won’t be the same as it in the rarified atmosphere of Taos, but it will be my way of of extending this peaceful and spiritual time and keeping it in my life. The time for going home is past now. The final morning we had our parting ceremony, we took a group photo and then we all went our separate ways. But we will always have and treasure the connections we have made here. And we’ll be back next year for an update! Oh, Lynn, you make me realize why I need to go back to Taos next summer! And that chair: grounded and solid and real. I love that you brought it home. Hope all is going well at school! Lovely, lovely, lovely. Your words make it easy to reach out and touch my shared experiences in that place, Lynn. I can smell them, too. Oh, yes. You are so right, Lisa. And I wish you’d been there as well. I’m planning on next year…maybe you could too! Thanks, Paula. School is good. And I hope you’re at Taos again next year as well! What a wonderful retreat for the body, mind and spirit! The chair will be a reminder of the best kind to keep up the meditation and self-care ritual throughout the rest of the year, too. Loved reading this! Thanks Patty. I do think the chair will help me maintain the ritual. Thanks for reading! So amazing you have this incredible place. I have been to Taos twice and always my description is spiritual. Nice you brought the incredible place home to sit and reflect in. Thanks for the story, you tell it so well.. I love your chair. Tell us how you are using it now that you are back home and back in school. How are you incorporating your summer adventures into your Chico life? thanks for your comment, Delaine. My chair is out in the garden, next to the waterfall. I like to sit there, calm and quiet. As for the rest, I think I have a new awareness of my actions and my intentions. Continuing a retreat once you are no longer on retreat is kind of oxymoronic, I have learned! But I certainly am more aware of everything I do. Life is good! Oh Delaine that’s a bottomless question. I sit in my chair when I need to feel more grounded. It’s simplicity is kind of centering for me. I am easily pulled off track by my busyness so I try to make space to create things.